The key to streetwear is the mix and match nature between smart and casual. Get the look by teaming classic mod styles and upgrade with an urban twist. Our SS16 ‘London Mod’ collection focuses on this notion mixing together signature mod cuts and styles with a modern city edge. Having that one piece that stands out - and then build your outfit around that. Whether that be a stand out statement shirt or a eyecatching piece of outerwear. Choose a versatile footwear option that will see you through the outdoor pursuits. A pair of boots are that versatile style that’s perfect for the urban man. Layering not only creates interesting colour and fabric contrasts it also means a couple of extra layers of warmth on a cold day. Layer together a printed shirt with a thick overshirt for a clash of fabrics, or give a classic polo a modern upgrade by wearing over a check shirt. Add in some denim for a traditional streetwear look that is durable and lightweight. 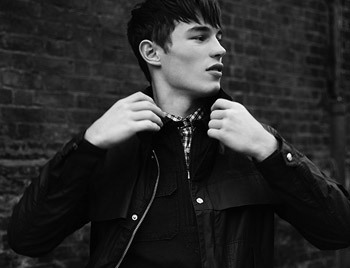 A great piece of outerwear can be the key player in a Winter Urban look. Make the parka or trench coat the main statement of your outfit. Button up to the top and flip the collar for a statement look or leave slightly unbuttoned to show flashes of print from underneath.